This large house erected right over the water where at high tide you could hear the waves lapping under the kitchen floor. By Yacht or Sailboat you can sail up to the front door and secure your boat to the wharf and have full marina services. Little Harbour Brook is great spot to watch from any window, deck to see Salmon jumping the falls at the mouth of Rencontre Lake the gorge is the next best secret to Gros Morne National Park the morning Coffee here is the best. Along Board walks and trails the lake and beaches Bald eagles are abundant here in Fortune Bay even the fishermen feed then. 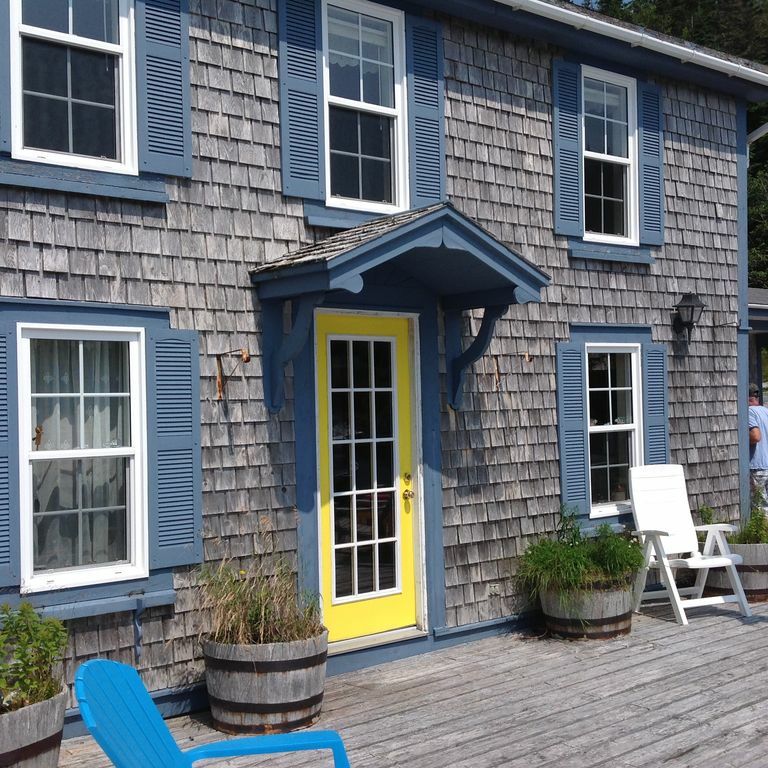 Chart House an 1893 Traditional Character with the new comfort and luxury full chef’s kitchen with fine dining and viewing sitting over the North Atlantic Ocean. There are three bedroom with double beds two with own half baths and showers. The third bedroom converts to a full studio or a drop down Murphy bed with washroom. Sitting Room with wood stove, Parlor with Newfoundland books games TV/DVD/VHS even old time record player. come and see for yourself what Rencontre East has to offer we are so excited about the hide south coast of newfoundland and we like to share it with you. Rencontre East is a small, outport community in Newfoundland and Labrador, Canada located north east of Belleoram, and west of Bay L 'Argent in Fortune Bay. The population was 136 in September 2010. This small community is not connected to any surrounding areas by road but is accessible by scheduled ferry service. All of the roads are dirt and ATV s are the main source of transportation.